(Seychelles News Agency) - Seychelles President James Michel has appointed the five members of the Anti-Corruption Commission, the first such body in the island nation, State House announced on Friday. Ugandan Judge Duncan Gaswaga has been named the commission’s chairperson. Judge Gaswaga -- currently a High Court Judge in Uganda -- is not new to the island nation. He served the Judiciary of Seychelles as a Magistrate and as a Supreme Court Judge between 2002 and 2013. The other members of the Anti-Corruption Commission are all Seychellois nationals. 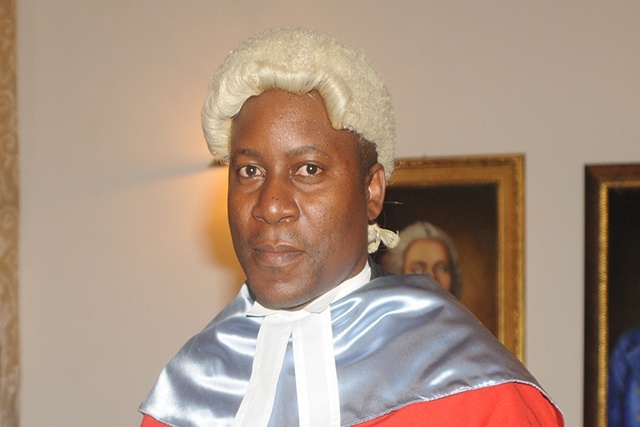 Daniel Belle, a lawyer, has been appointed Vice-Chairperson. The three other members are Hardy Lucas – a businessman, lawyer Priscille Chetty and Marie-Claire Elizabeth, who has retired from a long journalism career. The Constitutional Appointments Authority (CAA) says the chairperson, vice chairperson and commissioners’ positions were advertised citing the desired qualifications and experience, adding that all applicants were interviewed by a panel. The decision to create an Anti-Corruption Commission was announced by the President in his State of the Nation Address in February. “We have taken harsh measures where corruption existed. The commission which we are setting up will help us strengthen our actions against corruption,” Michel said in his address. The issue of corruption was also raised by opposition parties in the last presidential election in December. The Anti-Corruption Commission, which is part of the government’s decision to step up the fight against graft, was endorsed by the National Assembly in April. Once fully operational the body will be tasked with receiving complaints and also investigating, detecting and preventing practices linked to corruption in both the public and private sector. The commission will have its own structure, budget, and taskforce which will conduct investigations. In the press statement issued Friday afternoon, State House said one the first tasks ahead for the newly named members is to recommend the appointment of a chief executive to the President.